Babies are one of the most vulnerable patients in a hospital. Ensuring infant security is critical to not only the reputation of the hospital, but also to the peace of mind of everyone there, from nursing staff to new moms. The most effective infant protection solution provides accurate newborn location information along with 24/7 abduction attempt alerts. The best step a healthcare facility can take for newborns and their families is integrating a state-of-the-art baby tracking system. CenTrak newbaby™ is the preferred solution for today’s busiest hospitals because it is a part of the CenTrak Security Solutions platform, which uniquely combines the industry’s most accurate Real-time Location System (RTLS) with a proven infant safety and security system. 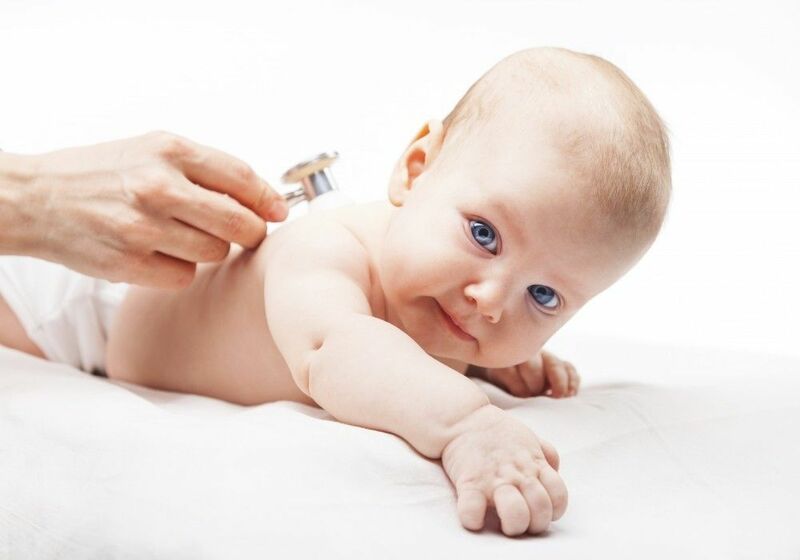 Tags – Each infant is protected by wearing a small, comfortable, and unobtrusive tag that actively communicates with the system and gives staff bed- and bassinet-level location visibility. CenTrak’s solution offers a variety of tags including umbilical attachment and skin-sensing ankle-band tags. 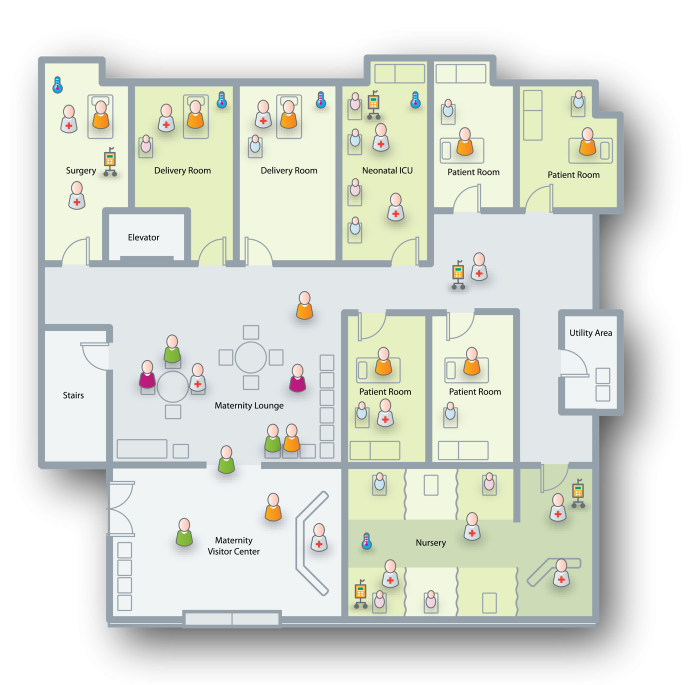 Workstations – Workstations display floorplans of the facility, showing patient locations within monitored areas and protected exits. Infrastructure – The system easily integrates with elevator control systems, door locking systems and security cameras. Immediately set off an alarm – If an unauthorized attempt to remove the tag or leave a monitored area occurs, the CenTrak system will immediately sound the alarm. The sooner the breach is detected, the sooner the baby can be reunited with his or her mother. Thanks to its quick response, CenTrak’s newbaby solution allows hospitals to protect infants from abduction attempts. Capture video image – CenTrak’s hospital infant security solution also integrates with video surveillance. In the event of a breach, the hospital’s cameras will activate, capturing critical information. Activate door locks and even hold selected elevators – The system integrates easily with other security and access control systems the facility may already have in place, such as card access, video surveillance, public address systems and pagers. More than just a passive player, CenTrak’s system can trigger door locks and even hold selected elevators. Should a breach occur, CenTrak can help ensure the baby isn’t taken off the floor. Not only does CenTrak’s system engage during abduction attempts, but it also detects if someone is trying to tamper with the tag. The system knows as soon as the tag is no longer touching the skin. If a tag stops communicating with the system or a tamper event occurs, the system generates an alarm, displays an alert on the application workstation and logs the event in the system’s database. CenTrak’s leading solution for baby tracking in hospitals is available with Clinical-Grade Locating™ technology for advanced RTLS use cases. CenTrak’s RTLS differs from legacy technologies in its combination of a patented second-generation infrared (Gen2IR™) and active radio frequency Identification (RFID) technology. Monitors with long-lasting batteries use Gen2IR to transmit a unique room number; any tag in that room will receive the data. The tag then relays the unique room number and its ID to the CenTrak location server, using the hospital’s existing Wi-Fi or wired network. With a system that easily integrates into third-party solutions, hospital staff can access the data in real-time. The most effective infant protection systems support the correct matching of mothers and infants. Stories of babies being paired with the wrong mother are shocking and alarming, even when the interaction is short. Hospitals can’t afford to make the mistake of bringing the wrong baby into the wrong room. CenTrak’s platform enables healthcare facilities to ensure mothers and families peace of mind that their newborn is always properly matched with the correct mother. The CenTrak newmom™ tag is worn by mothers to ensure proper matching of mother to infant. If an infant approaches an incorrect mother, the system will immediately send an alert. This functionality helps clinical staff avoid any awkward situations where the mother and family bonds with the wrong baby. The newmom tag also provides real-time location data allowing healthcare facilities to monitor the safety and security of the mother at all times while she is in the facility. Facility-wide monitoring — Ensure the safety of infants throughout the hospital. Tracking in addition to breach alerts — While legacy infant protection systems offer just infant abduction protection in hospitals, CenTrak also offers real-time location tracking. By using CenTrak newbaby, hospitals can ensure a newborn is always in the right room or with the right family. Quick response — There is no delay when a breach, tamper or entry into a wrong room occurs. Staff are immediately notified. Seamless integration — CenTrak seamlessly integrates with existing systems. Hospitals don’t need to upgrade or change their system, saving money and resources. Easy maintenance — With CenTrak newbaby, there’s only one tag and one system, which simplifies maintenance. When hospitals have less to maintain, they can optimize their resources and improve cost savings. When it comes to infant security systems in hospitals, CenTrak is the leading solution. It combines the industry’s most accurate real-time location system and integration with security and access control systems. Best of all, it is easy to implement and use. Contact CenTrak today to learn more about the applications and advanced features of newbaby, the most accurate infant security system.